"You just need the right combination of ingredients," said physicist Michael Huels. "These molecules can combine, they can chemically react, under the right conditions, to form larger molecules which then give rise to the bigger biomolecules we see in cells like components of proteins, RNA or DNA, or phospholipids." 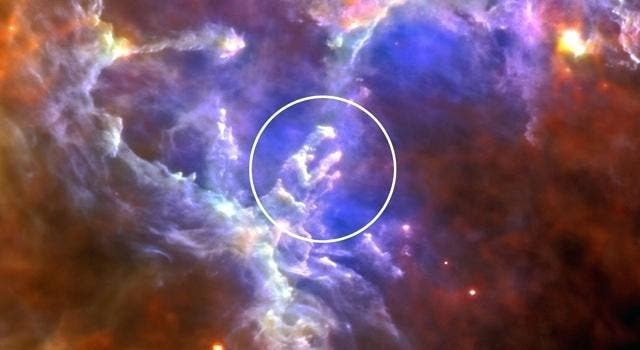 Star forming region (Pillars of Creation) above in the Eagle Nebula. Low-energy electrons, created in matter by space radiation (e.g., galactic cosmic rays, GCR, etc. 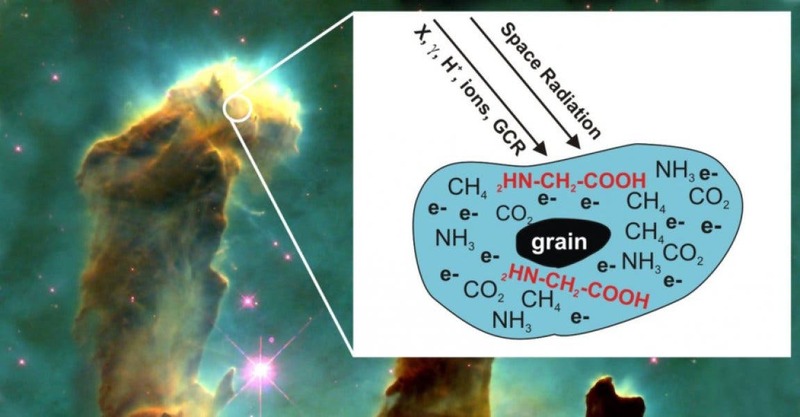 ), can induce formation of glycine (2HN-CH2-COOH) in astrophysical molecular ices; here, icy grains of interstellar dust (or ices on planetary satellites) are simulated by ammonia, methane and carbon dioxide condensed at 20 K on Pt in UHV, and irradiated by 0-70 eV LEEs. 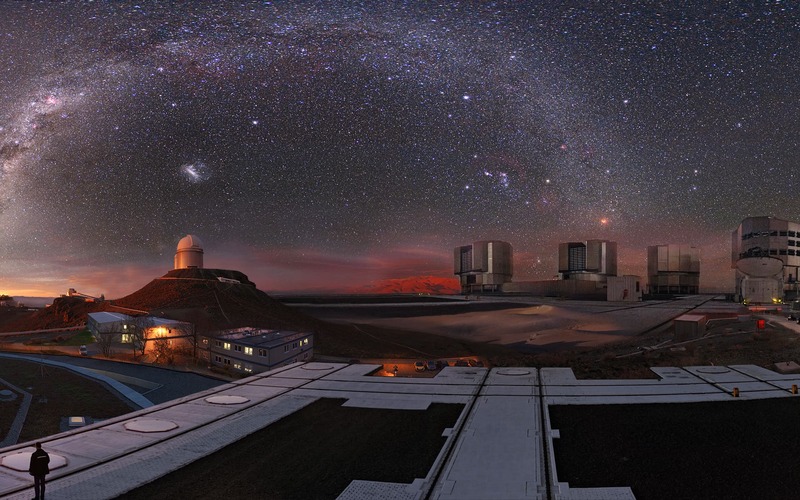 "You have to remember — in space, there is a lot of time," author Huels said. "The idea was to get a feel for the probability: Is this a realistic yield, or is this a quantity that is completely nuts, so low or so high that it doesn't make sense? And we find that it is actually quite realistic for a rate of formation of glycine or similar biomolecules."